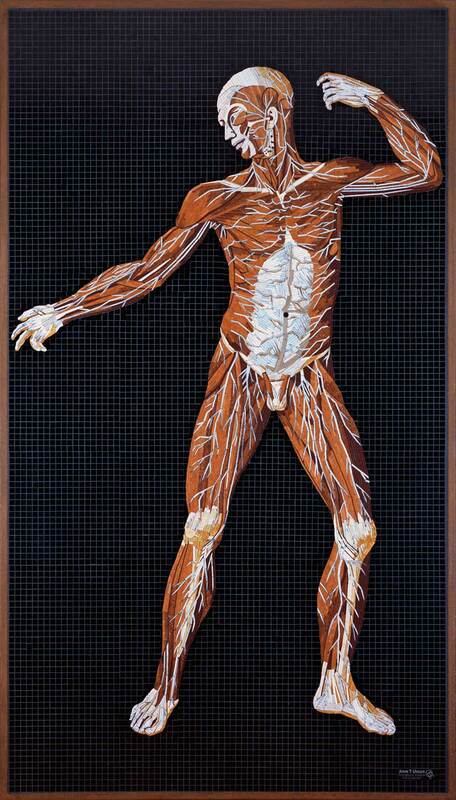 Artist and sculptor John T. Unger is familiar with great art projects. 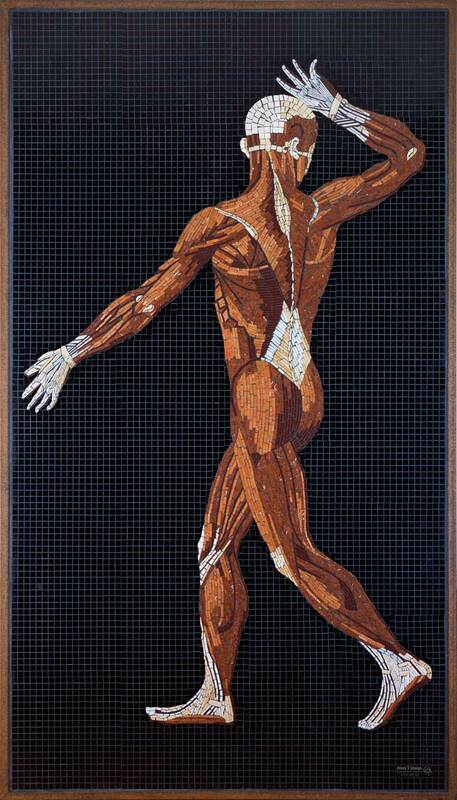 His most famous feature is probably his lighting bowl sculpture art, but he has been working on mosaic pieces for quite a while now. 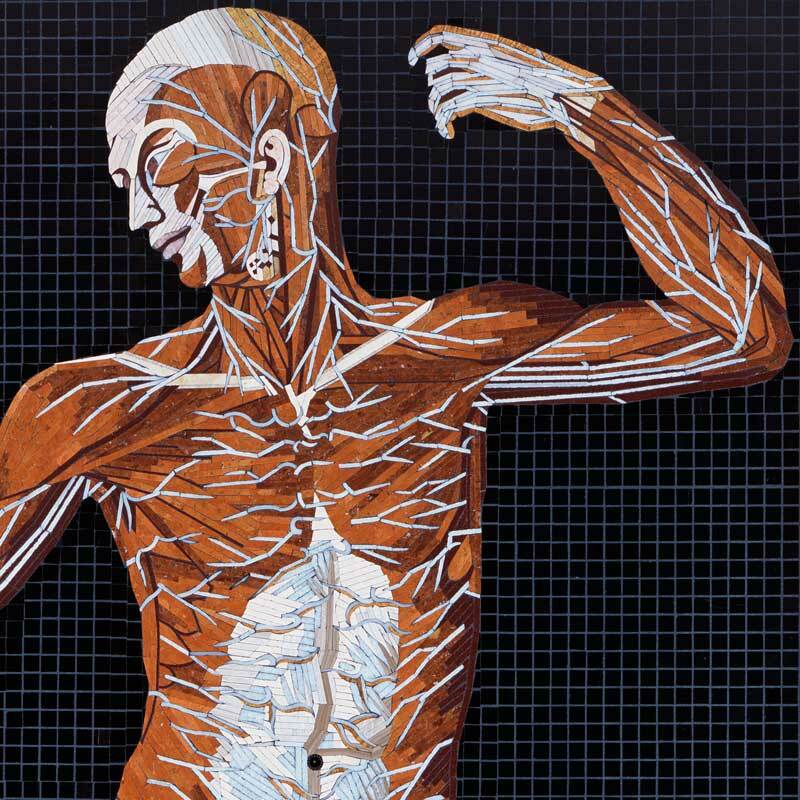 One of his most recent projects is the “Anatomy set in Stone” series. 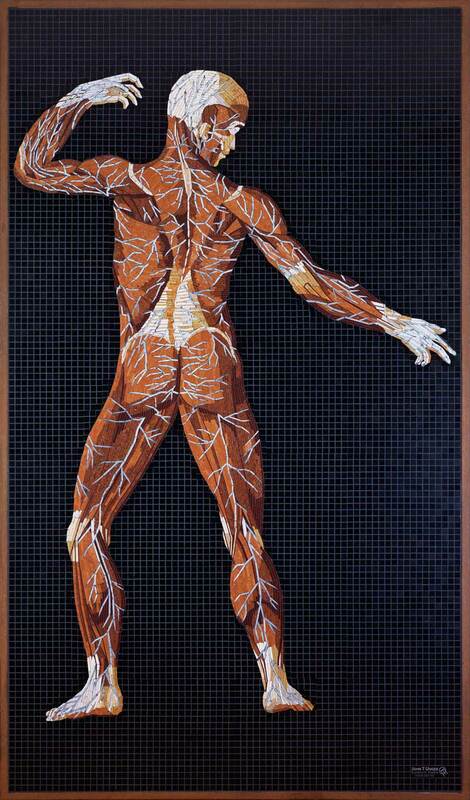 A collection of 17 spectacular mosaics depicting the human body. 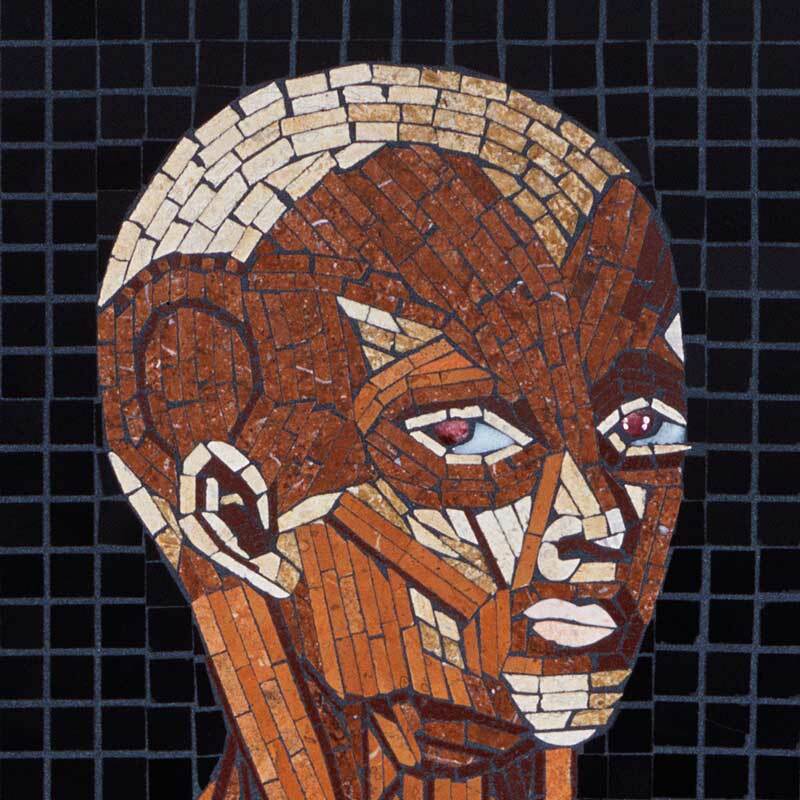 The mosaics are also available as prints that you can purchase from the artist’s online shop. 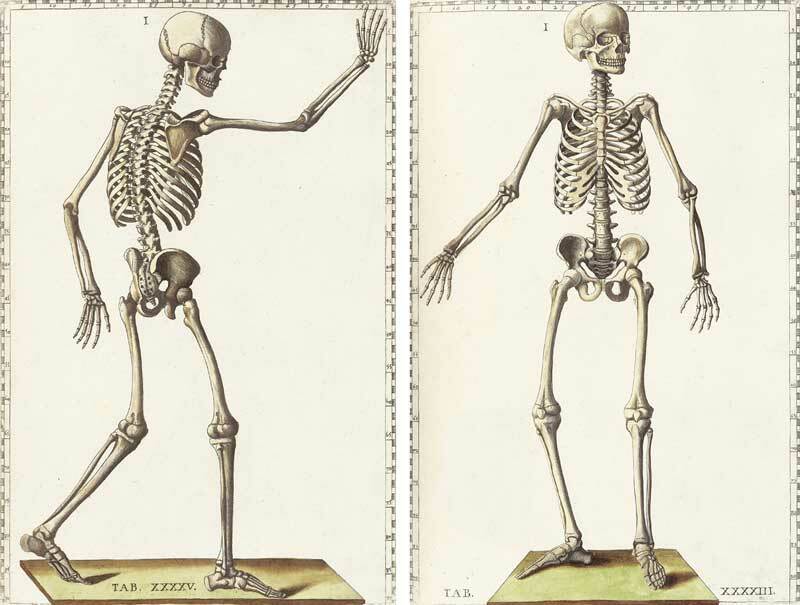 The American artist based his work on a set of engravings he found at the U.S. National Library of Medicine. 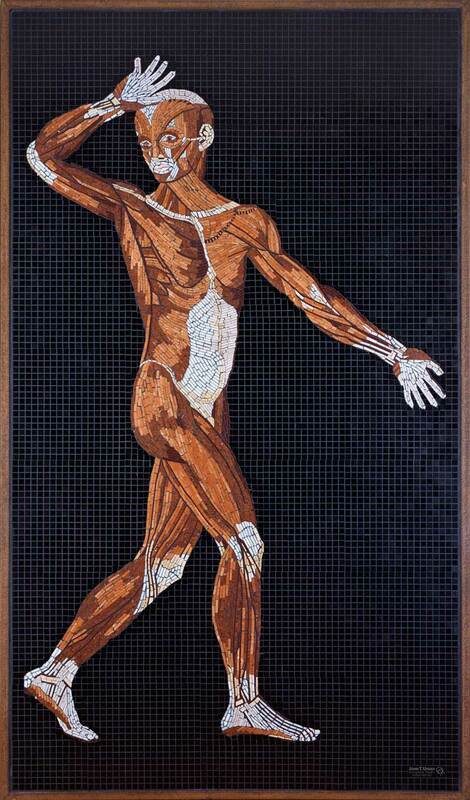 He then based his mosaics on large prints of the engraving and carefully crafted the pieces together.